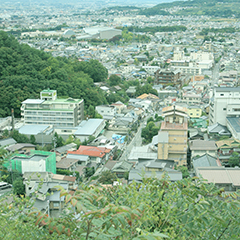 According to tradition, the Asama hot spring which started from the villa ground of Yamato Imperial Aristocratic People was called "Tsukama no yu" . 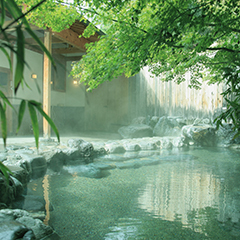 In the Kamakura era, protector Mr. Hojo possessed it, and every time new governer came, they visited to Asamaonsen Hot Spa, which was inner parlor of Samurai. 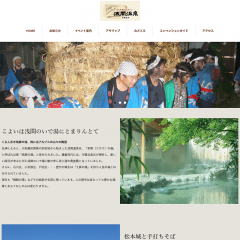 In addition, Mr. Ishikawa, Mr. Ogasawara, Mr. Toda - The lords of the past had "Samurai's hot spring" and it was separated from the people's hot spring. 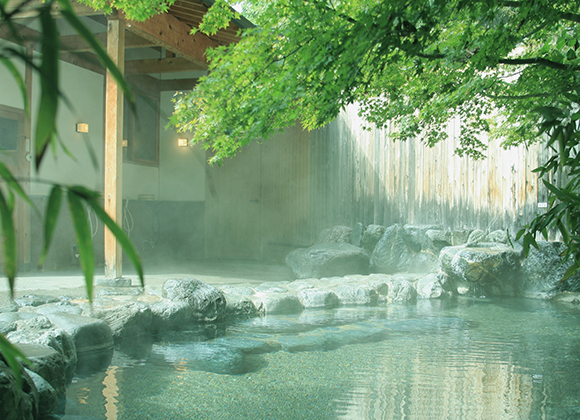 Even now "Goten no yu (Hot spring in palace)" and its remnants remain in their names. 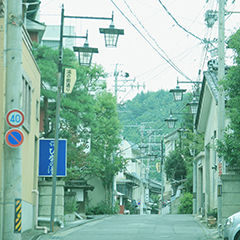 Although the history of people changes, the rich amount of hot water and the heart of hospitality do not change. The castle tower of five structure/six story build during Bunroku period( 1593 - 1594) is one of the oldest in Japan. The castle tower during the Warring States period was preserved with the efforts of many people, and was designated as a national treasure in Showa 11 after the great renovation of the Meiji era. 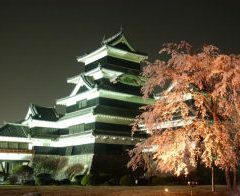 Also known as "Foshi Castle", it is counted as the four great castle national treasure with Himeji, Hikone, Inuyama. 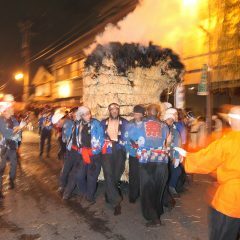 In the life of the mountain country, soba was one of the staple foods to replace rice. 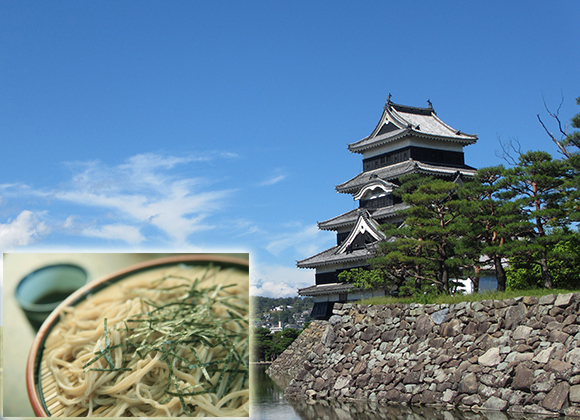 The cool, temperature-rich climate brought up flavorful "Shinshu soba". 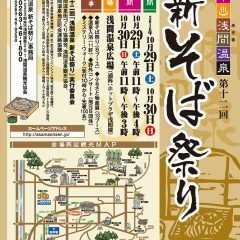 The Shinshu soba exposition is held every consecutive holidays in November every year, and it boasts of customers from all over the country gathered all over the country boasting beside honoring. 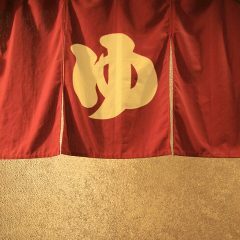 2-6-1 Asamaonsen, Matsuoto-City, Nagano Pref.